For some reason, citing online sources in APA style is more challenging to students than citing traditional print sources. I can think of a few reasons why: 1) students are more familiar with citing traditional sources because they cite from them the most; 2) the rules of citing traditional sources rarely ever change, whereas the opposite is true for citing online sources; and 3) APA style continues to update and change the formatting of online sources to accommodate new sources of online information, such as quoting material from social media sites, YouTube videos, and special encyclopedia sites like Wikipedia.org. 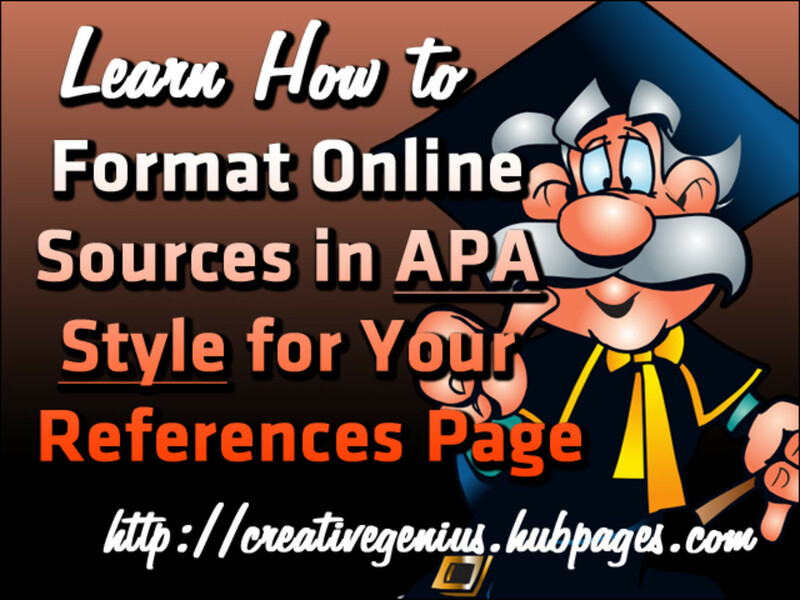 In this special Hub, I will focus on formatting online sources for your References page based on the 6th edition of APA style (the latest edition). As you're writing your thesis paper or dissertation, you'll find yourself using ideas or quotations from other print and online sources to strengthen your paper's theme. These quotations and ideas are important aspects of your paper. They breathe credibility into your paper and support your arguments. 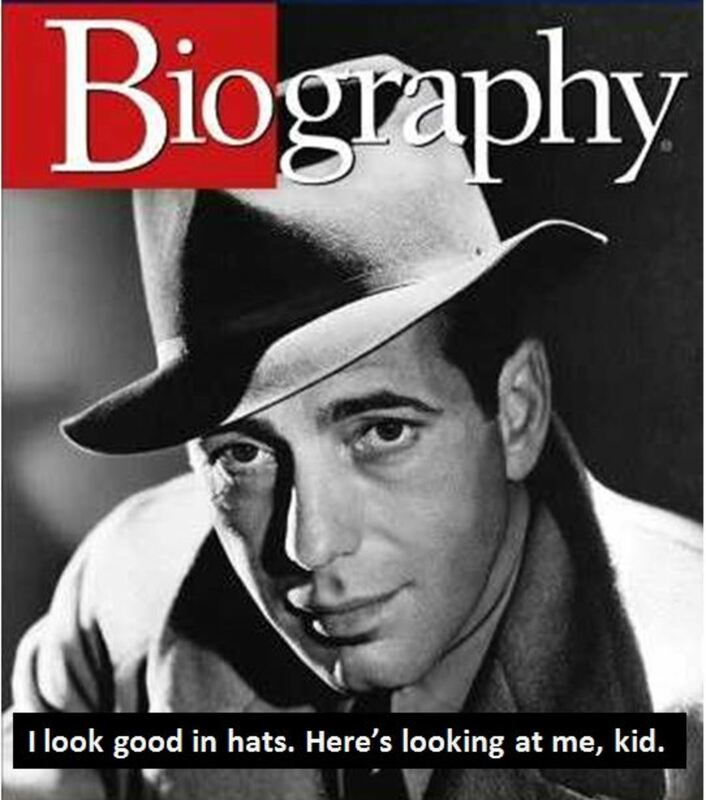 When using or quoting any outside source for your paper, you must attribute proper credit to the person who originated the idea. Fortunately, APA style makes it relatively easy for you to attribute sources in your paper, giving your readers a clear understanding of who the original source is. The rules of APA style also direct you to the proper way of citing a source so your readers can obtain more information. 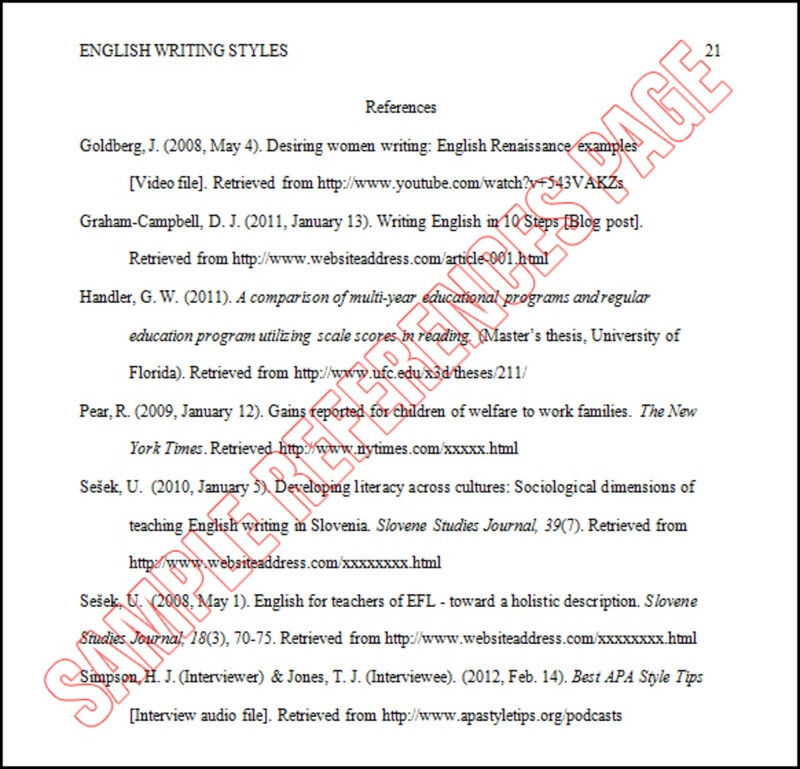 You must reference all sources briefly in the main text of your paper, using an in-text citation that directs the reader toward the References page—the final page of the paper. 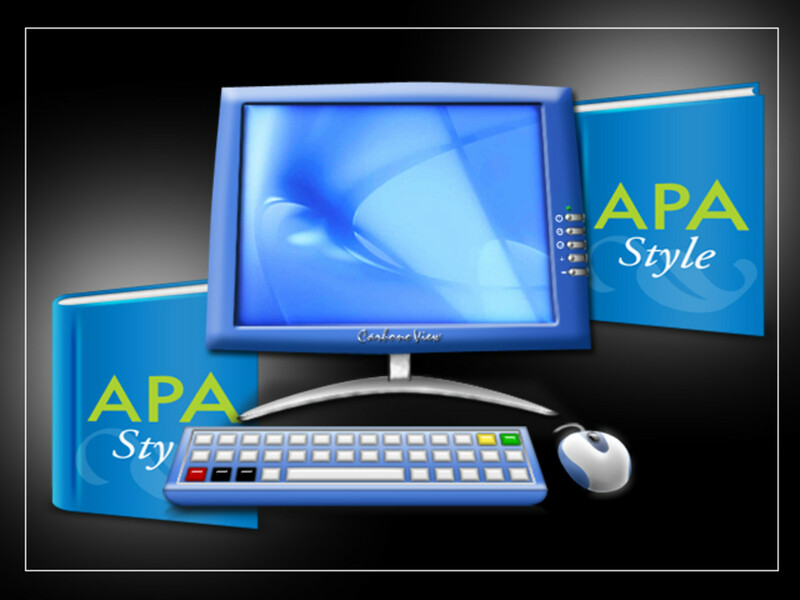 You must adhere to several APA style formatting rules to create a correct Reference page. With all sources—either online sources or printed sources—you need to alphabetize all of the listings. Otherwise, for specific online sources, use the following tips to make sure you are formatting them correctly. If you find my Hub useful, please "Like it" and share it with your friends and colleagues. Also, please BOOKMARK this webpage because I update it frequently. APA style requires you to list all of your cited sources on its own page, simply referred to as the "References" page. At the top of the page, type the word References in plain text. Center the word between the left and right margins. Make sure it is on the line directly below the running head. List each source in its own paragraph. 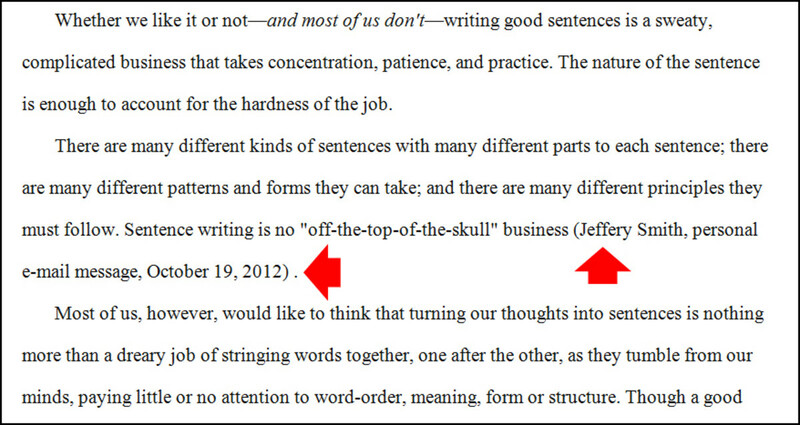 Use a hanging indention, where the first line of the paragraph is flush to the left margin, and every following line of the paragraph is indented 0.5 inches from the left margin. 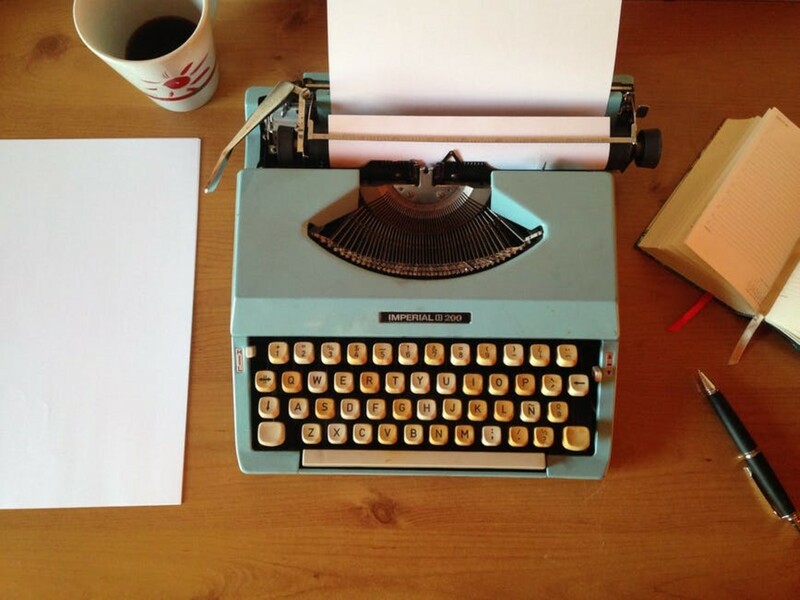 A word processing program can handle this formatting process for you. Double space with 12-point Times New Roman text throughout this page. Note: Because the running head and page # is part of the 1-inch top margin, you should have 3 single line spaces between it and the word References. 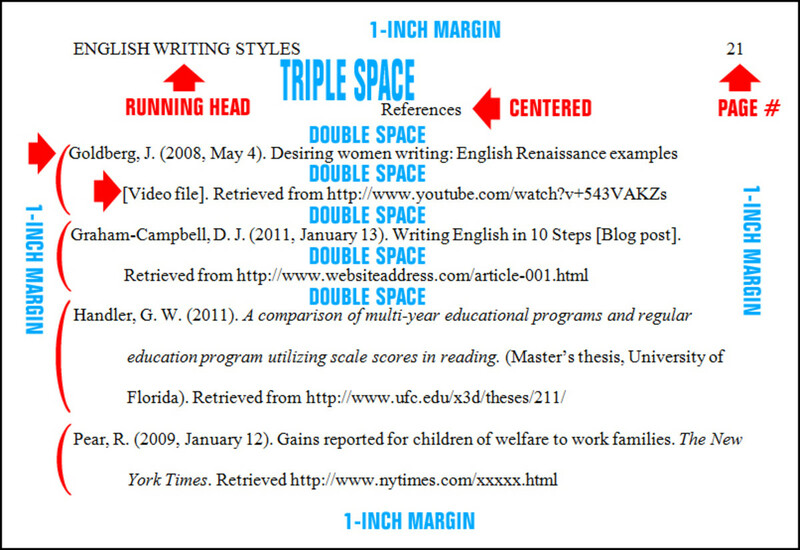 You do NOT triple space to begin your References page. Citing an online video follows the same format as citing a blog source. Sometimes you may need to cite an online comment from a blog, website, or discussion forum. If you need to cite something that appeared in an e-mail, or in any other type of personal communication, you don't need to list this source on your Reference page. 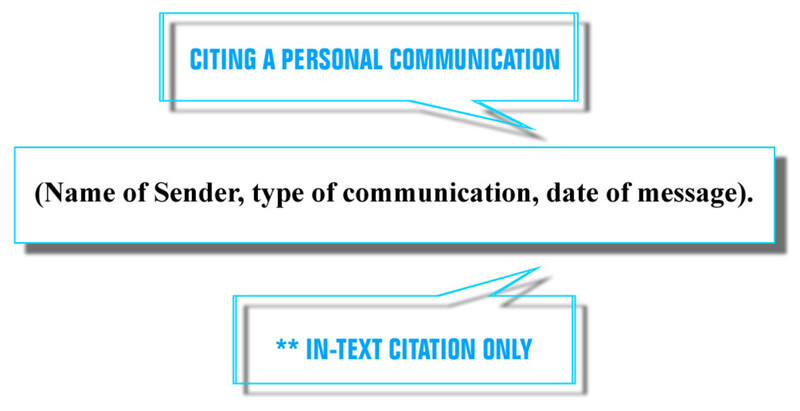 Just list the name of the person, the date of the e-mail and the words "personal communication" inside parenthesis as part of the in-text citation. Finally, the APA style book acknowledges that you may encounter online sources for which no formatting rules yet exists. After all, the types of online sources continually change. If you encounter this anomaly, choose an existing format that closely resembles the source material. Thank you for the information above. I wonder if there are institutions that teach the APA style or better still, is there a reference manager software that can do the job for you ?